The Crawford-Hunter Lifetime Achievement Award commemorates IDA Co-Founder and former Executive Director, Dr. David L. Crawford, and IDA Co-Founder and former President of the IDA Board of Directors, Dr. Tim B. Hunter, for their pioneering leadership in protecting the night sky and reducing light pollution and the indelible mark they have left. This award represents the highest honor that IDA bestows to individuals who, in the course of their lifetimes, have contributed an extraordinary effort to light pollution abatement. The Crawford-Hunter Award is presented to Leo Smith. 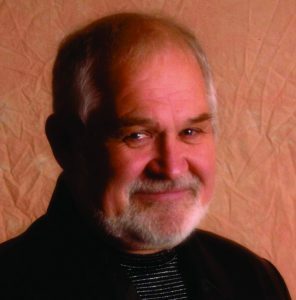 Leo Smith, a longtime dark sky advocate and supporter of IDA, is President and CEO of Capital Ventures Group of Suffield, Connecticut. Leo joined the IDA Board of Directors in 2004, serving in this capacity for 12 years before stepping down. Although Leo’s service as a Director came to a close in 2016, he has remained active in IDA, and is currently the IDA Northeast Regional Director for New England, New York, and New Jersey. Leo, along with other dark sky advocates, also established the Connecticut Section of IDA in 2001 and has been serving as the IDA Connecticut Section Leader since that time. In recognition of Leo’s tireless work to combat light pollution and “scale” his work into a number of important policy debates, he has received IDA Executive Director Award (2001), the IDA Hoag-Robinson Award (2003), and the IDA Executive Director Award and the IES President’s Award for his work on the MLO (2006). Leo’s decades-long dedication and relentless commitment to the cause, his professional and evidence-based approach to policy formulation, and his steadfast and deep personal investment in IDA’s mission and programs, make him well-deserving of this award. The Hoag/Robinson Award honors Dr. Arthur Hoag and William T. Robinson for their work as pioneers in outdoor lighting reform. It is given to an individual who has been outstanding in educating governmental organizations, businesses and the public about the merits of outdoor lighting control ordinances. Only one award will be given each year. Dr. Arthur Hoag, who received his Ph.D. in astronomy from Harvard University in 1952, was one of the founders of the dark sky movement. Dr. Hoag led the cause against light pollution at Kitt Peak in the 1960s and early 1970s. His efforts, together with those of the astronomers he led, resulted in the adoption of an outdoor lighting ordinance in Tucson and Pima County in 1972. William Robinson was a retired petroleum engineer experienced in technology and negotiation when he met Dave Crawford at Kitt Peak National Observatory. Shortly thereafter he came out of retirement to become a volunteer for dark sky preservation in southern Arizona. Passionate and tireless, Mr. Robinson was instrumental in the adoption of no less than 50 outdoor lighting control ordinances throughout Arizona that included most incorporated communities, all state counties, and the state itself. Marge Hoag and Mary Robinson, the widows of Dr. Arthur Hoag and William Robinson, respectively, have agreed to the use of their husbands’ names for this award. The Hoag/Robinson Award is presented to Susan Harder. Susan has been a tireless dark sky advocate for over 20 years, serving as the NYC IDA Chapter leader for many of those years. Susan has worked closely with New York City Council members as well as with council members in East Hampton, where she resides. 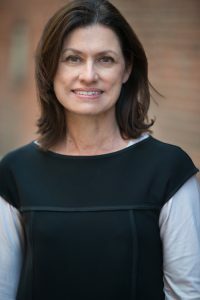 Susan also established a working relationship with executives at the local utility company and was able to raise awareness regarding light pollution issues over the years. She coordinated efforts with Sierra Club to have the New York City Council introduce a bill to restrict the CCT levels of LED streetlights. She established a website at nyida.org to coordinate communication and efforts to improve dark skies. Susan’s dedication to dark sky efforts has raised awareness among city and town officials. One New York City Council member held a press conference on light pollution issues with Susan present. Her guidance has resulted in the Town of East Hampton adopting light pollution regulations. She exemplifies the ideal dedication and effectiveness in dark sky advocacy that makes IDA successful, and has continued her dedication for 20 years. Note: The Galileo Award was established by IDA Europe in 2003 to acknowledge outstanding achievements in combating light pollution in Europe, and was traditionally presented at the European Symposium for the Protection of the Night Sky. In 2017, the restriction of the award to Europe was lifted to better reflect IDA’s international mission, and the award citation was changed to reflect the academic contributions of many of the previous winners while avoiding overlap with other categories of IDA awards. IDA encourages nominations of Europeans for all award categories, and as a standard practice all IDA awards to Europeans will now be officially announced and presented at the European Symposium. The Galileo Award is presented to Martin Aube. Martin is a world leader in quantifying and modeling light pollution, working with manufacturers to develop new dark sky-friendly LEDs, advising observatories and cities on lighting, and making public appearances, including many media interviews about light pollution. His quantitative Melatonin Suppression Index is used not only by astronomers and city planners but by biologists worldwide. 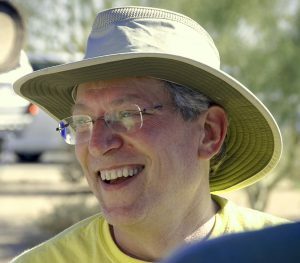 His invited plenary talk at the American Astronomical Society reached thousands of astronomers, including many who knew little about LEDs and their role in light pollution. Martin is the consummate protector of the night sky. He has almost single-handedly convinced the city of Montréal to reconsider its original plan to install over one million blue-rich 4000K LED streetlights. 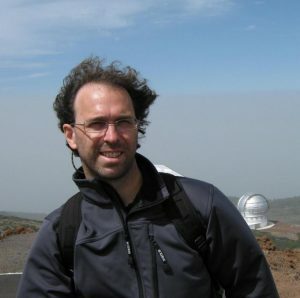 He travels from the Canary Islands to Chile to measure sky brightness and consult on lighting. The Philips Lumec PC amber LED lights he helped develop are used throughout the city of Sherbrooke, Québec, thus safeguarding the night sky for Mont Mégantic Observatory. The Lighting Design and Technological Innovation Award is given to individuals, organizations, or businesses that — through progressive design, construction, technological innovation, and entrepreneurship — support IDA and its mission to preserve night skies by promoting quality outdoor nighttime lighting. Only one award will be given each year. The Lighting Design and Technological Innovation Award is presented to Suzan Tillotson, of Tillotson Design Associates. Suzan not only understands the importance of good outdoor lighting for beautiful and healthy urban spaces, she designs it and gets it installed in some of the most prominent settings in the world. Her painstaking lighting studies for New York City’s redesigned East River Waterfront and its bicycle and pedestrian path involved testing scores of options for providing low-level, warm-colored, low-glare lighting — even selecting paint colors for existing site infrastructure to provide the most effective, least intrusive lighting possible. She worked doggedly with City Hall to convince urban planners and decision-makers that if the lights were well-designed, lighting levels could be ten times lower (0.2 foot-candles vs. 2.0 foot-candles) than originally specified. An icon of New York City, the Lincoln Center for the Performing Arts showcases Suzan’s careful and context-sensitive design. The buildings glow gently at night, the lights are mellow and diffuse, the mood inviting and warm. Uplighting and illumination levels are kept to a minimum. With dozens of urban projects in international cities from London to Los Angeles, Tillotson Design Associates has shown the world repeatedly that good lighting can and should be dark-sky friendly, and that our favorite urban spaces will be all the safer, healthier, and more beautiful for it. The Dark Sky Defender Award is given to individuals and organizations in appreciation and recognition of their exceptional efforts to promote and advance the mission and programs of IDA to preserve night skies by promoting quality outdoor nighttime lighting to reduce light pollution and its environmental impacts. Nominees include those who have led outstanding public education and outreach campaigns on light pollution, who have promoted ordinances and other regulatory tools to reduce light pollution, who have worked with the media, policy-makers, opinion leaders and others to bring greater urgency to the issue, and who have fostered collaborations with disparate stakeholders to effect positive change. A maximum of five awards will be given each year. Sriram created a documentary film (“Saving the Dark”) about light pollution featuring IDA. Released in May of 2018, “Saving the Dark” has already been picked up by 4 national film festivals. The documentary has the potential to reach tens of thousands of viewers to build awareness about light pollution, its negative impacts, and IDA’s work to control it. Sriram’s efforts to create this documentary were nothing short of heroic. He travelled to 15 locations to conduct interviews with 35 people and visited 20 more locations to film the night sky; he shot about 700 hours of night sky footage over the course of two years, and spent 2,950 hours conducting interviews over the course of one year. His film has original music and touches on all aspects of light pollution that IDA also shares with the public. 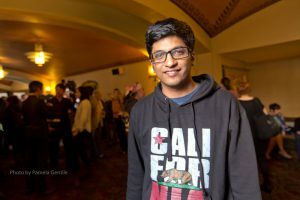 In addition to funding the entire film himself, Sriram logged his efforts as part of a volunteer-hour matching program offered by his employer, thus creating donations for IDA over the course of the last year. He also shared IDA’s message as he traveled around the country making his film. All of this while working a standard 40-hour work week as well. He also invited, and received interviews and film footage from a couple of international entities he could not directly visit. Ted has tirelessly and patiently contributed towards the initiative for Fountain Hills to attain the Dark Sky Community designation. 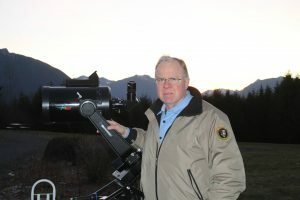 He has taught many about not only dark sky principles, but how to enjoy the benefits of having a “dark sky” — by pointing upwards to the heavens and sharing interesting information about celestial bodies. He educates the public in a way that garners enthusiasm and awe — you can see the sparkle in his eye turn into a sparkle in the learner’s eye when he teaches. 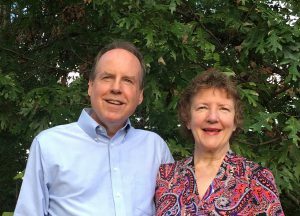 He shares stories of his adventures and new information from his time serving as a NASA ambassador and plans Dark Sky Parties at his local Civic Center. Ted broadens minds and inspires learning, helping to create moments of awe and a sense of community. Ted volunteers his time, shares his education and insight, and generously donates towards making his community a better place to live. Not only is he supporting the preservation of the natural environment, he creates opportunities to learn about how the bodies in the sky impact our culture, our history, our health, and our innovations. He explains these things in approachable terms and there is always a twinkle of wonder in his eyes and sense of excitement in his voice. His enthusiasm is infectious. Marnie is the former manager of the Sydney Observatory, and submitted an application to City of Sydney for appropriate lighting of the Observatory while working there. 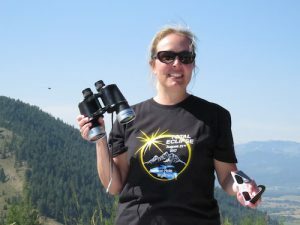 Her public talks and lectures have reached international audiences, and she has created icons, logos, signs and merchandise to promote dark skies. She managed the Night Sky Conference at Siding Spring Observatory in 2018, and created and installed a Dark Sky Park sign in Coonabarabran. 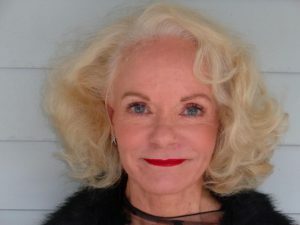 She was a key project manager in getting Warrumbungle Dark Sky Park designated and was instrumental in the introduction of Night Sky Tourism to Destination NSW / Orana Regional Development. Marnie was also involved in the Dark Sky Park launch in Warrumbungles. Marnie introduced light pollution tours at Sydney Observatory, Star Trails tours around The Rocks in Sydney, and has assisted Astronomer Fred Watson with projects at the Australian Astronomical Observatory at Siding Spring, New South Wales. Because of her dedication and efforts, dark sky tourism in Australia continues to grow. Due to her conversations and negotiations with councils, governments, building developers and project managers, light pollution has been reduced and better vision for astronomers has been accomplished. She continues to inspire appreciation of our natural environment through her astro-tourism ventures. Mr. John Goss has been an enthusiastic supporter of dark skies for decades. While serving as president of the Astronomical League, he established the Dark Sky Advocate Award for the League. This program reaches over 250 astronomical societies and more than 15,000 League members, and it encourages more people to tackle the problem of light pollution. John has spoken to city councils, county commissions, governing boards, and more. 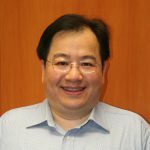 He has written numerous articles for newspapers, and he has pushed hard for dark sky preservation at all levels. As vice-president and then president of the Astronomical League for the past eight years, John has kept the mission of IDA on the list of high priorities. He has had a strong influence of dark sky preservation across the USA. Established in January 2015, the Global at Night – Sky Brightness Monitoring Network (GaN-MN) is a multinational project for long-term monitoring of night sky conditions around the world. Night sky brightness data are continuously collected throughout the night with Sky Quality Meter – Lensed Ethernet (SQM-LE) and are instantly disseminated to provide a real-time snapshot of the global light pollution conditions. The network currently comprises 33 stations operating in 11 countries/regions in Asia, Europe and Africa. Over 55 million individual NSB data entries have been collected as of October 2018. This huge NSB database allows for studies of temporal and geographical variations of light pollution and their correlations with various natural and artificial factors. The data collected provide the scientific backbone in our efforts to contribute to dark sky conservation through education to the general public and policy makers. The co-organizers of GaN-MN are the Office of Astronomy Outreach of the International Astronomy Union, The University of Hong Kong, the National Astronomical Observatory of Japan and the Globe at Night. The project is supported by the University of Hong Kong Knowledge Exchange Impact Project Scheme. The Rising Star Award honors a student or students of any grade level from elementary school through undergraduate university who demonstrate(s) an enthusiasm for and commitment to dark sky conservation and/or research into nocturnal habitat, human health, safety and security, or other areas in the context of natural darkness and light pollution. A student may conduct his or her activities as part of a science fair or other school-based project, as a member of a community service organization, in partnership with a non-profit, or coordinated with a local, state, or national park or other protected natural areas. No more than three awards will be presented annually. Alix has been chosen as a TEDx Youth Speaker 2018, where he will present his speech on the importance of darkness to the night sky. Alix is an incredible student of the stars, a scientist and an extraordinarily artistic and creative photographer. Alix is willing to use all of his knowledge and talent to help preserve the darkness of the stars for not only the beauty they bring to our world, but also because he knows how darkness impacts the lives of plants, animals and humans. He believes if darkness is not protected, our entire world will be negatively affected. He has the scientific evidence to support this belief, and he has created a stunning portfolio of the night sky and constellations to enhance this important thesis. 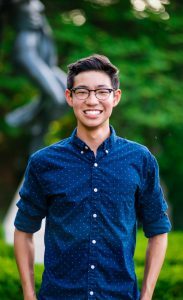 Alix will be presenting this TEDx Youth Speech for an audience in Lincoln, Nebraska, at Lincoln High School, but his presentation will not be limited to this location — his speech will be live-streamed all over the world and it will also be recorded on YouTube for future students and teachers to use. The potential impact of Alix’s presentation will be global and lasting. During the first week of May 2018, Ms. Sarah Haynes’ first period class at the Ha:sañ Preparatory & Leadership School undertook a project with Connie Walker, a scientist from the National Optical Astronomy Observatory (NOAO), to replace a wall pack with lights that would not produce glare and would not light trespass into the neighbors’ yards, but still allow safe passage from the school buildings to the parking lot. This project had two outcomes. First, the students decided that solar-powered pathway lights or bollards would be appropriate for pathways leading up to the area where the glare-y wall pack was. They choose a pathway light from Lowe’s, a 9.6-Lumen Black Solar LED Path Light. With proof of the high school’s 501(c)(3) status and tax ID#, the students submitted a letter to Lowe’s requesting as many lights as possible for free. They received 15, and NOAO was able to get another dozen at a reduced price, then bought another dozen at regular price. All 37 have been installed by the students along the pathway from the parking lot to the far edge of the garden nearest the glare-y light. Toward the second outcome, the students first tried to shield the glare-y wallpack light, but ultimately decided to replace it. The light fixture chosen was the Torres Wall Mount. The fixture has 4 Cree XHP50 LEDs with an output of 2072 lumen and 28 Watts. It has a color temperature of 3000K and a color rendering of 82. It has a BUG rating of B0 U0 G1, very little backscatter, no uplight, and is an IDA Dark Sky approved fixture. 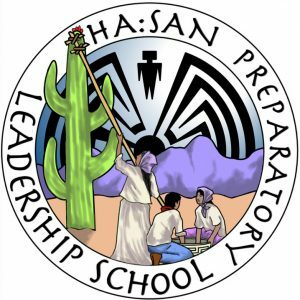 This project allowed for a teachable moment where the high school students from Ha:san learned how to make a positive difference in their community. They identified the lighting problem and figured out the steps to fix the problem. Many of these students will eventually take leadership roles in the Tohono O’odham Native American Nation near Tucson, where they will be in positions to affect the rest of their community. The Nation is the size of Rhode Island and is continually developing. 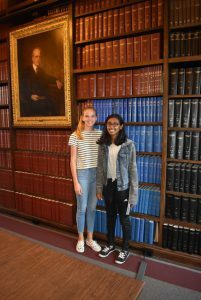 Silver Award Girl Scouts Amy Ollendorff and Meghana Raj, from troop 3460, chose to educate their community and youth about the effects of light pollution. Living in suburban Orange County, California, the girls’ community has one of the highest concentrations of light pollution, as compared to other suburban areas in the United States. In order to bring awareness to the youth in their community, Amy and Meghana created a light pollution awareness campaign. Their educational campaign included organizing an interactive booth as part of the Children’s Festival, which drew over 1,000 participants. They developed a craft to illustrate what planets look like without the city’s light pollution. While the children completed the craft Amy and Meghana educated the parents about effects of light pollution. By signing their name to a bright star cut-out, over 153 participants pledged to “Save the Stars.” As part of their campaign, the girls also led a community education session at the Library for the City of Anaheim, and are working with the Tustin City Council to create a lighting ordinance. Amy and Meghana serve as environmental role models in their community. Their educational campaign brings awareness to this little known, but important environmental issue. By educating Children’s Festival participants, City of Anaheim Library education series participants, and the Tustin City Council and surrounding community, Amy and Meghana will impact both current and future generations about dark sky conservation. The Chapter Leadership Award is given to an IDA Chapter or Chapter member who has demonstrated outstanding achievement at the local level in combatting light pollution and fostering support for IDA’s mission and programs. Of particular interest are Chapters or Chapter members who have built strong and effective communities around light pollution and its environmental impacts, and who have raised awareness of the issue through exceptional outreach and education programs. Only one award will be given each year. The Chapter Leadership Awards is presented to Dave Ingram. David is a tireless advocate for dark skies in the Pacific Northwest. He has made contacts and done presentations about dark skies for many of the astronomy clubs and associations in the region. He’s done work to recognize the efforts of local governments that create lighting ordinances that are dark-sky friendly, and has testified before groups considering such legislation. 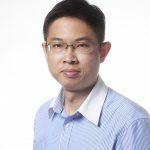 He has endeavored to build connections between policymakers and lighting engineers to spread the gospel about the benefits of efficient, dark-sky-friendly lighting. He’s worked with state parks officials to improve their understanding of the IDA’s dark sky preserve programs. 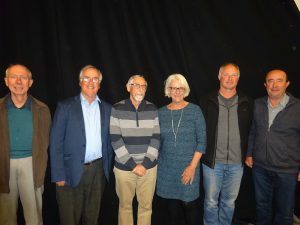 He was a key to winning IDA Dark Sky Park designation for Goldendale Observatory State Park and, we hope, will be a key player in getting that designation re-established. He takes every opportunity to promote the benefits of IDA membership. He is a regular participant at biannual Astronomy Day events at the Seattle Museum of Flight, at which he always has IDA displays and materials on hand. Among people in the Northwest who are aware of the work of IDA, a large percentage of them likely gained that awareness from David Ingram. 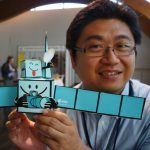 His network of contacts allows him to reach a great many people, and his work at the grassroots, with regional astronomy clubs and associations, continues to be Herculean. In an age when local chapters of larger national organizations often have little, if any, activity or impact, David is a passionate, active, and dedicated advocate for the cause of restoring dark skies. The Nocturnal Habitat Protection Award recognizes individuals or entities whose decisive actions have been instrumental to the conservation of substantial nocturnal habitat for terrestrial and/or aquatic wildlife species on public or private land and water resources. Qualifying efforts may include protecting natural areas from encroaching sources of light pollution or restoring natural nocturnal conditions through the elimination of unnecessary lighting and/or the implementation of smart lighting practices on-site. Only one award will be given each year. The Nocturnal Habitat Protection Award is presented to Jack and Beverley Sales. If anyone deserves recognition for his years of tireless and unyielding work to protect critical nighttime nocturnal habitat, it is Jack Sales. Jack, longtime leader and volunteer for IDA’s Sacramento, California Chapter, has dedicated years of his life to protecting out-migrating salmon from the adverse impacts of light pollution. According to Jack, who is deeply concerned about the decline of anadromous fish populations in the Sacramento, California basin, “Salmon could help save the night sky!” Jack, who has been involved with IDA for 25 years, remains optimistic that ongoing research of the impacts of artificial light at night on salmon populations will help save two of the things he is most passionate about: Chinook salmon and the night sky. Years of experience have taught Jack that environmental issues are often intertwined. He hopes that by shining a light on Chinook — both literally and figuratively — people will realize the importance of protecting dark skies and endangered fish. By preserving one we can help save the other. Congratulations to the winners of the 2018 IDA Awards! We thank you for your support of IDA’s mission. To view details about the 2017 award recipients, click here. To view details about the 2016 award recipients, click here. To view details about the 2015 award recipients, click here.